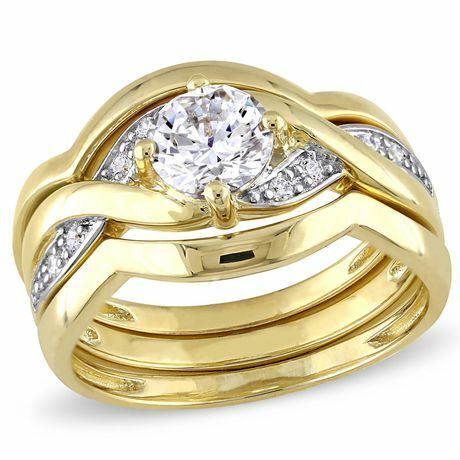 Surprise your loved one with this stylish Miabella Bridal Set that sparkles in lustrous yellow rhodium-plated sterling silver. 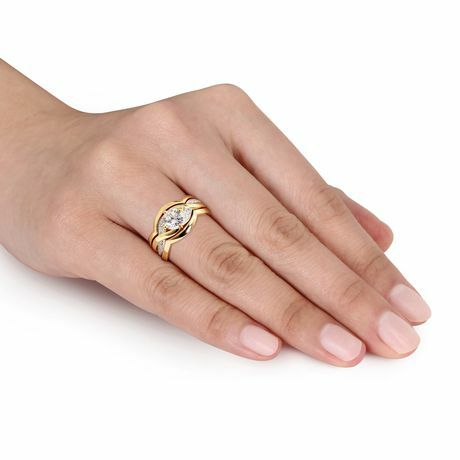 This extraordinary engagement ring features a round-cut (6mm) cubic zirconia with round-cut (1.25mm) cubic zirconia gemstones. The companion wedding band completes the look. These stunning rings are enhanced with a high polish finish. 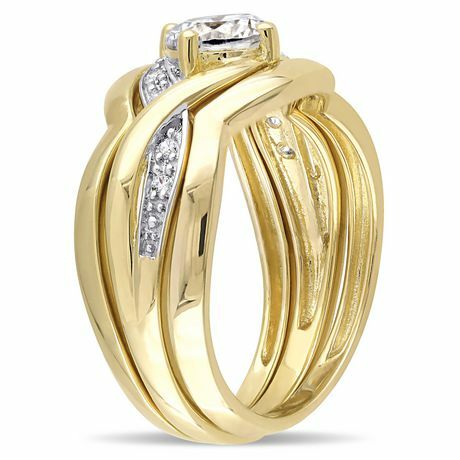 Miabella Jewellery: The perfect piece of jewellery is special and stunning, accompanying you for life. 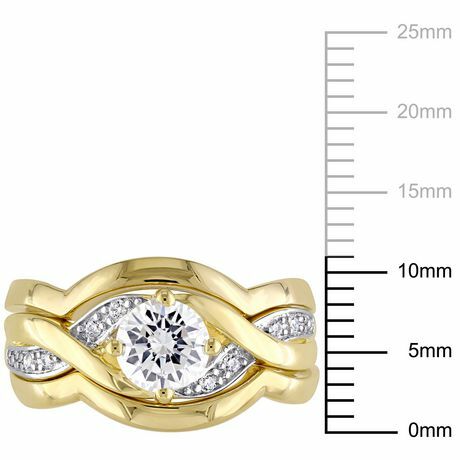 With over 30 years of experience in creating fine jewellery, Miabella has what you're looking for to mark a special occasion with something that sparkles. 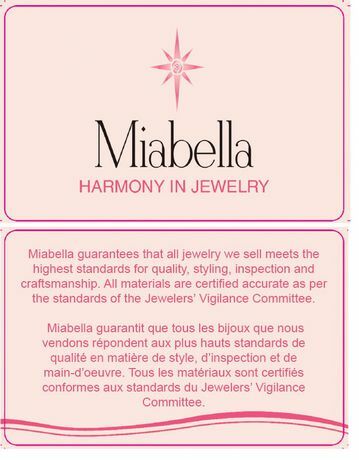 Miabella — Harmony in jewellery. Life is a symphony, celebrate it!